On my trip to Washington last week I attempted to untether myself from my laptop and work solely on my iPad for four days to see if I really need my laptop while I travel. First I found it hard to get a lot of work done while I was in coffee shops and on airplanes. Not because the iPad couldn't do it but because everyone wanted to see the iPad. So I did quiet a few impromptu demos in airports, airplanes, restaurants, offices, coffee shops and peoples homes. This device is definitely a hit and it fascinates everyone. I am sure my productivity will go up when more people have them and the iPad is as common place as the iPhone. This is truly a new category of device that has captured peoples imagination. That being said I enjoyed every minute of putting this in peoples hands and showing them what it can do. I have probably personally been responsible for a dozen and a half new iPad owners in few short weeks I have had it. You are most welcome Apple and keep the cool products coming. Second if you spend most of your time working somewhere where free wifi is available the iPad is indispensable. If you find yourself somewhere with no wifi or where everyone passwords their wifi and you don't have access an Overdrive, Mifi, or some other 3G to Wifi technology the 3G iPad is a must. The iPad isn't nearly as much fun without Internet access. Third on my trip I only had to get the laptop out twice. Once to do some work in Photoshop and PDF Pen Pro and once to print my boarding pass for the return trip home. The only other thing I missed is Hulu to keep up with my TV shows which is rumored to be coming soon. 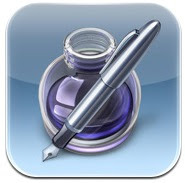 So if Apple adds printing in iPhone OS 4, photo editing in iPhoto, and Smile On My Mac gives us PDF Pen Pro for the iPad and a lightweight Photoshop from Adobe the only thing I will need my laptop for is software development. 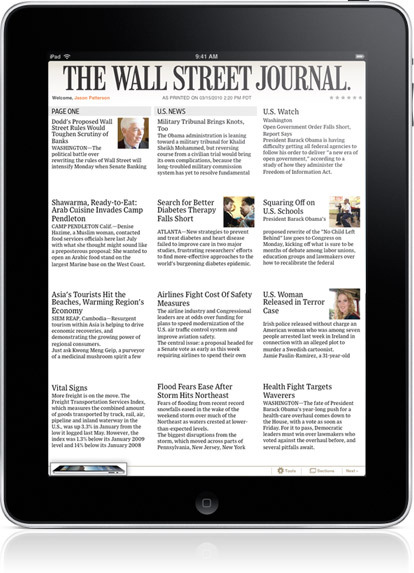 If you are a writer, news junkie, or just can't be without web access the iPad is ready for trips now. If you are a developer or multimedia content creator I wouldn't leave the laptop behind just yet. I was able todo 99% of my work and watch most of my TV shows without the need for the laptop and the battery life is so good that as long as I charged it up when I went to bed at night I was fine for a full days work the next day. When I am home and using my laptop, desktop, and iPad I can recharge it every two or three days and still never run out of power. The iPad is 99% of the way there on replacing net books and while not as powerful as my Macbook Pro, it did nearly everything I needed it to do for four days. I think with iPhone OS 4 that will bring us that last percent of the way there to make this a perfect travel companion. I would call my four day travel experiment a success and next time I have a few days of travel I might just leave the laptop at home. Now that I have spent a week with the iPad and enjoy it thoroughly. I can't wait for iPhone OS 4 to ship later this year to see what new features besides Multitasking that we will get. In the meantime here are a few must have applications to make your iPad the envy of everyone at the local coffee shop. 1.) Netflix, the application is free but you do have to have a Netflix subscription that offers Internet streaming. The quality of the streaming video is good however it is standard definition currently. The CEO of Netflix stated in an interview that starting this year Netflix will start introducing High Definition streaming this year. It is great for watching movies anywhere anytime you have time and a network connection. 2.) 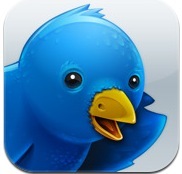 Twitterriffic is as you might guess used for sending and receiving your tweets on Twitter. It is a free download and is more feature rich than the desktop version and was designed with the iPad in mind. It looks great on the big screen and makes Twitter fun to use. 3.) 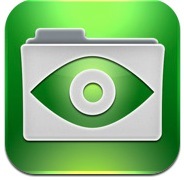 GoodReader is for reading PDF's and is only $.99. It allows you to download the PDF's to your iPad from a number of sources. It can be connected to the MobileMe iDisk, drop box, Google Docs, box.net, FilesAnywhere.com, any Generic WebDav server, or even search for shares on the local network. GoodReader will even allow you to turn your iPad into a web server to share your PDF's with other iPad users or PC's or Macs on your local network. 4.) 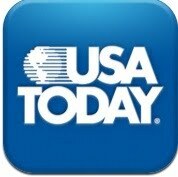 USA Today is a great free application for getting the current news. It looks like the news paper and is up dated every time you open the application. I can now get the news in the morning without even going to the front door to pick up the paper. 5.) 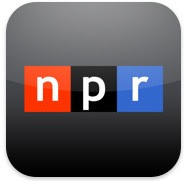 NPR is another free app that let's you read the news and listen to NPR stations all over the country live. 6.) 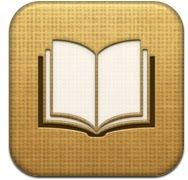 The iBooks app free from Apple gives you access to the iBook Store and allows you to download ebooks and read them on your iPad. The User Interface for the iBook application looks just like a real book complete with page turns. Unlike a real book you can change the print size, font, and brightness of the page. 7.) 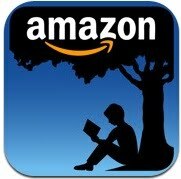 Amazon Kindle for the iPad is a free application so you can buy books from Amazon and read them on your iPad, iPhone or Kindle and keep all of your bookmarks in sync no matter which device you are using. So you can have all the ebooks available on Kindle and Apple's bookstores right at your fingertips. 8.) 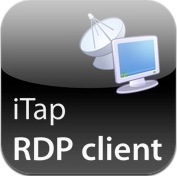 iTap RDP is $11.99 and for those that might need to take remote control of a Windows PC this is a native iPad application so the Windows Desktop looks great on screen. Pinching and Zooming gestures allows you to get in close to a section of screen. 9.) 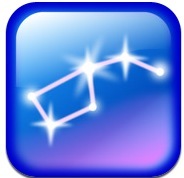 Star Walk is $4.99 and is a great educational application if you are interested in astronomy. Star Walk uses Location Based Services to find where you are and show you what the sky looks like as you hold the iPad up and look to the sky. 10. 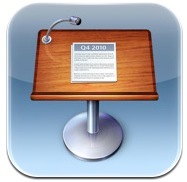 )Pages, Numbers, & Keynote are $9.99 each and allows you to create documents right on your iPad. 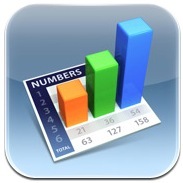 If you have to write a paper, create a spreadsheet or enter data into a spreadsheet or give a presentation you can do that all with the iPad. Apple has some more work to do with these apps getting data in and out more quickly and easily. These are first version applications and I am sure they will mature in time and be as useful as their desktop counterparts. You can run any iPhone application on the iPad in regular mode the applications fit in the middle of the screen. There is a 2x mode that allows you to double the pixels to blow up an application to full screen on the iPad. Some games and applications look good being pixel doubled. Text usually looks blurry being doubled but is readable. 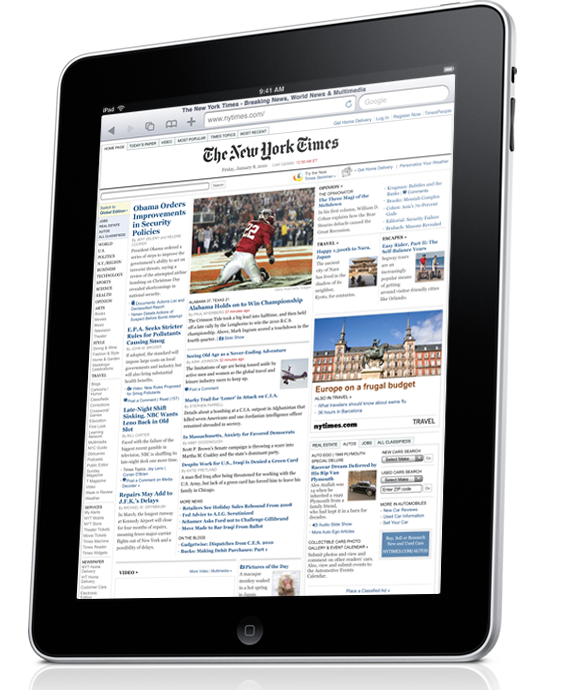 Many applications for the iPhone are being rewritten for the iPad's larger screen. Some developers are offering the upgrades for free while others are writing whole new applications and charging for them. That is being left up to the individual application developers. This is just the beginning of the applications that are going to be coming out for the iPad over the next year. As more developers get the iPad in their hands we will see more innovative applications coming down the road. Remember the iPad has only been in the publics hands for only a week. Apples new iPad is a revolution for the tablet computer and is likely to do for the tablet market what the iPhone did for the wireless market. The iPad is already shipping with quite a few apps optimized for it's bright sharp 9.7" LED backlit IPS (In Plane Switching) display. the screen is nice to look at and easy to read. That coupled with a 10 hour battery life really makes the iPad a work horse that easily outshines most net books with a few easily correctable limitations. The display on the iPad is bright and clear. It looks great even outdoors while wearing polarized sunglasses. Without the sunglasses you get a lot of glare on the screen but next is still readable. The downside of the display is finger prints. Despite a oleo phobic finger prints and smudges occur all over the screen. They are not really visible until you turn off the display. Clean up is easy just wipe the display with a soft cloth or against your shirt and the smudges brush right off. Apple should have included a micro fiber cleaning cloth with the iPad like they do with all of their other notebook computers. The on screen keyboard is certainly useable and while I can't quiet touch type on the screen like I can on a real keyboard i think with a little practice I might come close. 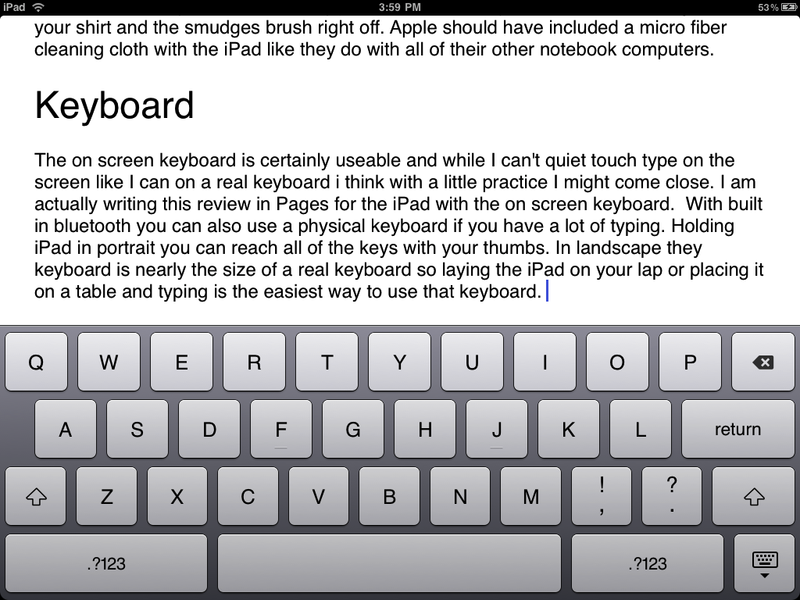 I am actually writing this review in Pages for the iPad with the on screen keyboard. With built in bluetooth you can also use a physical keyboard if you have a lot of typing. Holding iPad in portrait you can reach all of the keys with your thumbs. 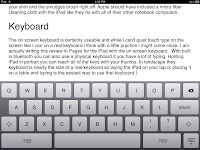 In landscape they keyboard is nearly the size of a real keyboard so laying the iPad on your lap or placing it on a table and typing is the easiest way to use that keyboard. It has been great for watching movies even without headphones in a quiet room the speaker sounds surprisingly good for a device that is that small. It is thin and light weight although without a stand it does get uncomfortable to hold after about an hour. Netflix is the killer app in this category at the moment. Being able to stream any movie that is available in their library to any device is a cool feature. 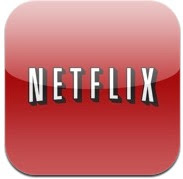 Currently I can stream Netflix to my iPad, PS3, Wii, Mac, and coming soon iPhone. The CEO of Netflix has already commented they look to not have a need to mail DVD's to customers in the next couple of years. They also announced HD streaming coming this year. Sling Player is also available for the iPad and rumor has it that Hulu will be coming to an iPad near you soon. 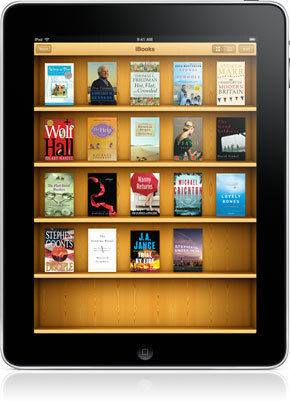 The e-book reader is an elegant app that gives you a very book like feel. I quickly forgot about the device and just settled NGO by book and started reading. Just tap on a word to see it's definition and double tap to set a bookmark. When you are done tap library and your book flies onto shelf and remembers where you were. The ebook store opened with 60,000 titles about 30,000 of which are free titles from project Gutenberg. pricing is about the same as what we saw on Amazon but the navigation on the iBook store leaves much to be desired at the moment. The search feature will take you right to the book if it is the library. They do not yet seem to have a way to add an ebook to your wish list or to gift a book to someone. The good news is if you use iTunes home sharing your books are shared with other members of your household which is s plus. The Amazon Kindle Reader for iPad doesn't look as nice as iBooks but it is functional and syncs with the iPhone Kindle app, the Kindle and the Kindle for Mac and PC giving you more flexibility about how and where you read. Plus you can buy Kindle ebooks on the Amazon store on the web and they just appear on all of your devices via whisper net. I am sure Amazon will work on the visuals to make the app more attractive on the iPad. I am not ready to get rid of my Kindle in favor of the iPad. At this time it will be another device I will use to read books in addition to the iPad. Quite a few apps have been available on day one. I have loaded about 30 so far with more coming every day. With the extra screen real estate it has allowed developers to really get creative with what is possible in the User Interface. There are a few things the iPad does better than the iPhone due to it's size and a few things it does better than a laptop due to it's size, portability and touch interface. Kleiner Perkins has also offered $200 million to iPad app developers as an investment into new and innovating applications. I think the run away success of this device will come next year when developers really have a chance to re-imagine computer human interaction. I woke up first thing this morning and without having to step foot out my front door I picked up my iPad and perused USA Today, The Wall Street Journal, and AP Newswire all over mooring coffee and never hand to step foot out my front door to pick up a dead tree edition. While I am reading I can post interesting articles right on Facebook, Twitter, or send it out in an email wit ever having to leave the application. USA today looks just like a newspaper down to the saw tooth page edge at top but updates based on location so I just see my local weather. Stock updates will be coming later right on the Money page. Wall Street Journal looks like a news paper but includes when it was updated in the tag line and also integrates video right into the page. It isn't quite the auto updating smart paper in Minority Report but we are getting close. The AP Newswire took a totally different approach with summaries floating in little boxes on the bottom of the page you can slide around and video clips you can tap and play. All these options are great approaches to sharing the news and if local papers jump on board and keep subscription prices under the print editions this might actually help save the news paper business after all. That is the question. In order to get one in my hands quickly I opted to go with wifi only. On the first day we took our iPads out to eat. The rester aunt we choose happened to not have wifi seriously limiting what our iPads could do. That being said I use fairly little 3G data monthly with AT&T since most of the time I happen to be around wifi. Most of the time I will hardly notice the lack of 3G and GPS in the wifi model. First to have the 3G I would have to wait another month and pay an extras $130 for the device. Plus buy a 14.95 250 GB monthly plan or 19.95 a month unlimited data plan (no contracts) but still I already pay for a data plan for my iPhone why not just use tethering? AT&T is not allowing us to tether any device to our iPhone. I don't want to pay for a data plan for three devices iPhone, iPad, and Macbook Pro so if I decide I need to use the iPad for data when wifi is not available I will look at alternatives like Sprint 4G Overdrive or Verizon mi-fi cards where I can tether my laptop, iPad, and usually up to 5 devices to get online. Also jail breaking the iPhone and tethering is an option for those who wish to do so. The web surfing experience is good on the iPad. The browser is fast and pages load quickly. 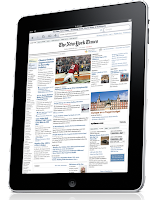 Sites are quickly creating iPad optimized versions that are free from Flash and Brightcove the company that provides streaming video to many newspaper sites announcing they are moving from Flash to HTML5 we should see fewer and fewer of those missing plugin icons as Flash slowly goes away. With an amazing screen, processor speed, and battery life the iPad is a very capable and reasonably priced device that will have a prominent place in my daily work flow. While on my desk it can be a large digital photo frame, while at Coffee Bean it can be my word processor, web browser and place to store notes. I always have my library of books at the ready in case I have an odd moment to read. I am waiting to see some nice audio recording apps for mobile podcasting on this platform. The sky is really the limit with this device. I have to harp on Apple for the closed file system and no built in PDF reader/editor. you can open and view PDF's in email but that is it. When I connect my iPad to my computer I don't get a drive on my desktop to drag and drop files. That is a huge oversight I hope to see corrected. I would also like built in access to my iDisk so I can store documents on MobileMe and move seamlessly between working on a document on my desktop, laptop, and iPad. Getting documents out of Pages on the iPad and into the the computer isn’t very intuitive at all and could easily result in having multiple versions of a document. I haven’t seen a way to auto sync them yet. This feature is going to need a lot of work yet. No iPad, iPhone sync to iTunes over wireless. We have been asking the iPhone to do this for years and we do get wireless updates for contacts, calendar and email but I want to see music, movies, and data work this way. I want to play Plants vs. Zombies on my iPhone while waiting in line for my coffee and when I return home my iPhone tell my computer it has an update and then update my iPad so when I pick it up I can pick up where I left off. Every Apple display and laptop ships with a camera to use Apple's iChat program. It is a useful cool for chatting and collaborating with colleagues. While we do have AIM text chat on the iPad and Skype will be coming soon to the iPad I really feel the iPad is missing out on the ability to video conference from anywhere. How cool would it be to be able to see and hear anyone from anywhere anytime? I could be sitting on a tropical beach somewhere and with a tap of my iPad call up a friend and show them where I am hanging out at the moment or share live so breaking news or historic event. Finally with all of the power the iPad has, multitasking for all apps needs to come to the iPad and maybe a beefed up iPhone sporting this fast Apple A4 processor. 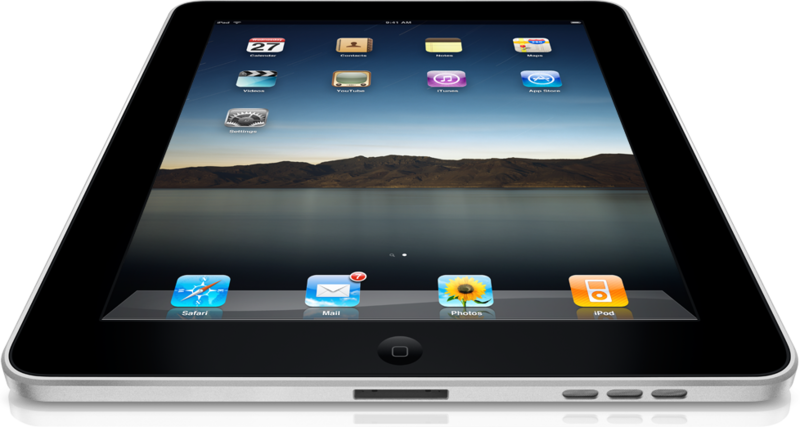 The iPad is extremely intuitive to use and if you have an iPhone or iPodTouch then you know how to use this device. The iPad will certainly change the way I work and the way I am entertained. I will likely carry it with me almost everyday and sometimes even opt to leave larger laptop at home. It is certainly worth every penny and is almost a good replacement for net books once we have video cameras and printing built into the device. Apple said this isn't meant to compete against the net books but it really does and within a year has the potential to make the net book irrelevant if they can just give us a few more features. For the haters out there who have been criticizing the iPad without first holding one and trying it for yourself you do not know what you are missing out on. Once you have had some time with it and imagine how you can use it you are going to love it.